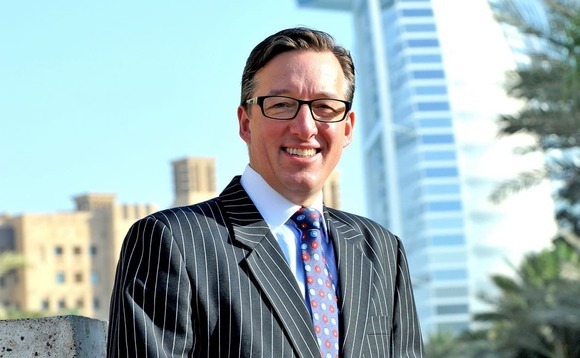 Globaleye, the Dubai-headquartered financial planning group, has begun to roll out a new asset management programme that it’s launching in partnership with Quilter Cheviot and Fidelity, and which it says will offer clients a state-of-the-art, risk-rated facility for managing their investments. Globaleye founder and chairman Tim Searle, pictured, says the new platform, which is called Aeon (meaning “age” or “eternity” in Latin), has been years in development. It also represents, he says, his vision for Globaleye as it continues to evolve its business model in response to the increasingly regulated and transparent marketplace, and to an ever-more-savvy client base. “Today, anyone who is any good in this business probably gets between 60% and 70% of their business every year from looking after their existing clients, rather than by constantly signing up new ones,” he explains. “We want to push that to 70%, or 80% or even 90%. “But the other thing, which is on the horizon for IFAs as the next big issue – and which this programme is designed to deal with – is risk-profiling, to ensure that clients’ money is managed in line with their appetite for risk. “Rarely [do] IFAs risk-profile their clients, and the few who do cannot ensure that they not only switch but re-balance the portfolios, to remain in line with the risk profile; Aeon resolves that. According to a statement on Globaleye’s website, the new Aeon platform will “bring discretionary fund management (DFM) to the offshore investor” by “leveraging the experience and expertise” of Fidelity International, the global fund house, and London-based Quilter Cheviot, the DFM acquired by Old Mutual Wealth last year, which opened a representative office earlier this year in Dubai. Quilter Cheviot will be in charge of managing the Aeon portfolio, which will be a UCITS structure regulated out of Luxembourg. The new platform, the statement continues, will enable Globaleye to give its clients “a cost-effective investment solution, and delivers returns individuals are seeking without taking unnecessary gambles with the underlying holdings”. “Every portfolio will be consistently reviewed to guarantee each investment remains within the clients’ risk parameters, and is adapted to whichever global economic situations may periodically occur,” the statement continues. The Aeon programme is to be offered to clients who wish to set up a regular premium plan as well as those with lump sums to invest, according to Searle. Globaleye was founded in 1999, and currently has more than 15,000 clients, who have more than US$1.5bn in assets under advice with the firm, according to Searle. It operates out of 10 offices, which, in addition to its Dubai headquarters, include Abu Dhabi, Doha, Geneva, Moscow, Singapore, Kuala Lumpur, Hong Kong, Ho Chi Minh City and Sri Lanka. Globaleye is to formally launch its new Aeon asset management platform at an event in Dubai next month.